These days young adult novels are all the rage, aren’t they? Besides the biggies —Harry Potter, Twilight, The Hunger Games, etc. — some major authors are penning YA books: John Grisham, Harlan Coben, F. Paul Wilson. Tim and Christopher Golden have even started a really awesome YA series. Talk to any author and most will say they have either written a YA book or want to write a YA book. And why not? Right now YA is pretty profitable for the most part. And adults, well, many find themselves reading YA books too! But just what is YA to begin with? You can tell me that it means the protagonist is a young adult and leave it at that, and while that’s great and everything, there are many novels out there with a young adult protagonist that isn’t necessarily a YA book (The Talisman is the first book to come to mind). You can tell me that it means the book itself is written specifically for young adults, which I guess would make more sense, but if it’s written specifically for young adults, then it most likely has a young adult protagonist, which then takes us back up to the first point. Last week I stopped by Joe Schreiber’s blog and talked briefly about his first novel Next of Kin, published by Putnam in 1994. It’s about a fourteen-year-old boy who gets kidnapped by a girl claiming to be his sister. Despite the fact that the protagonist was a young adult, Putnam published it as an adult release. Did it ultimately hurt the book’s sales? It’s impossible to say, but I don’t believe in 1994 YA was such a major market because, at the time, there wasn’t such a major push by publishers and bookstores. This happened — in all likelihood — around the time the Harry Potter series started to become such a big deal and more and more publishers began to see the potential for more and more sales. So with major publisher push comes major bookstore releases, and … well, you get the idea. Ultimately, whether or not a book is YA all comes down to how it’s marketed. The very first e-book I released was called The Silver Ring, a novella I’d originally written in high school but which I had majorly revised ten years later. It’s about a young man who finds a mysterious silver ring that holds strange powers and which the darkest evil in the universe wants for its very own. A friend read it and said that she enjoyed it and was surprised because she normally didn’t enjoy YA stories. I remember inwardly frowning and thinking, YA? because, at the time, I hadn’t meant to write a YA story … as this would have been 1998, and at the time there wasn’t such a YA push. Many of the stories I wrote in high school and college featured young protagonists, and why not? I was young at the time so it just made sense. Even my first novel, The Calling, features an eighteen-year-old protagonist. Did I, at the time while I wrote it in college, think it was a YA novel? Not at all. To me it was just a novel regardless of the protagonist’s age. 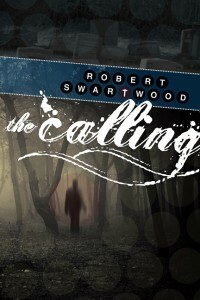 So is The Calling a Young Adult novel? If the only thing defining a novel as YA is that its protagonist is a young adult, then sure, The Calling is a Young Adult novel. But honestly, in the end, it doesn’t really matter. YA is just a label like everything else. You can put Cormac McCarthy’s The Road in the literary section all you want, but in the end it’s truly a horror novel. Books are what they are, plain and simple. As writers we shouldn’t worry about genres or categories so much as just wanting to tell a good story. And if we do our jobs well enough, readers will enjoy it, no matter their age. Robert Swartwood’s work has appeared in The Los Angeles Review, The Daily Beast, Postscripts, ChiZine, Space and Time, and PANK. He is the editor of Hint Fiction: An Anthology of Stories in 25 Words or Fewer. Visit him at www.robertswartwood.com. Robert invites you to join him on Monday, April 18, at 7 pm EST, where he will be doing a live reading at his website.